This is such a perfect angle of Thornewood Castle as seen from inside the sunken garden, where a wedding ceremony just ended. The bride and groom are heading out of garden toward the castle, with four flower girls and a ring bearer in tow, the late afternoon sun casting their shadows onto the lawn. I originally delivered this photo in color, but later found I liked it even better in black and white. 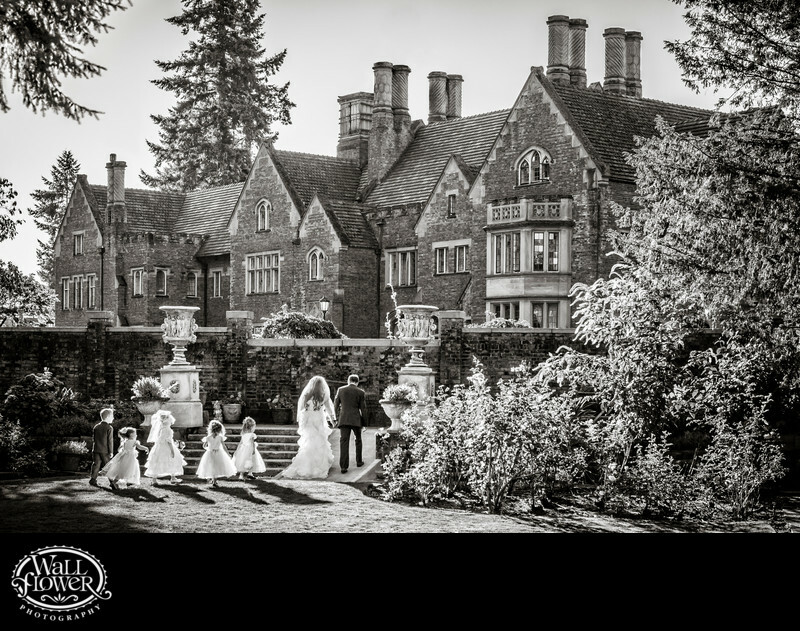 Seattle Bride magazine published this photo as part of an article on historic wedding venues.